Drug conspiracy defense lawyers who get great results. A drug conspiracy is defined as an agreement between two or more people to commit a drug crime. A federal drug conspiracy is an agreement to violate the federal drug laws. To prove that a person is guilty of drug conspiracy charges, the government must have sufficient evidence of two things: (1) there was an agreement between two or more people to violate a federal drug law; and (2) each alleged conspirator knew of the unlawful agreement and joined in it. Manufacturing a controlled substance – “Manufacturing” can include any action involved in the production, processing, preparation, or extraction of a controlled substance, from growing a marijuana plant to pressing pills. Distributing a controlled substance – This means exactly what it sounds like, delivering a drug to someone, even if there is no money involved. Possessing a controlled substance with the intent to distribute it – Possessing an illegal drug is a separate, and less severe, crime than manufacturing or distribution. However, if the government can prove a person had an intent to distribute the drugs in their possession, the penalties are the same as if they actually distributed them. The government can use prior drug sales, possession of equipment such as scales and baggies, and even the amount of drugs in someone’s possession as evidence of an intent to distribute. If a person is caught with five pounds of marijuana, for example, the government can charge them with having an intent to distribute marijuana. Importing a controlled substance – Like distribution, this is a straightforward crime involving the importation of illegal drugs into the U.S., usually by deceiving U.S. Customs or Border Patrol. What are the penalties for a drug conspiracy charge? The sentence for participating in a drug conspiracy depends on the type and quantity of drugs involved in the offense. For marijuana, if there is no quantity of marijuana alleged, there is no mandatory minimum sentence, while the maximum sentence is 20 years. If there are 100 kilograms or more of a substance containing marijuana, there is a mandatory minimum sentence of 5 years and a maximum sentence of 40 years. If there are 1000 or more kilograms of a substance containing marijuana, there is a mandatory minimum sentence of 10 years and a maximum sentence of life in prison. For cocaine and “crack” cocaine, if there is no quantity of cocaine or crack cocaine specified, there is no mandatory minimum sentence, while the maximum sentence is 20 years. If there are 500 grams or more of a substance containing cocaine or 28 grams or more of a substance containing crack cocaine, there is a mandatory minimum sentence of 5 years and a maximum sentence of 40 years. If there are 5 or more kilograms of a substance containing cocaine or 280 grams or more of a substance containing crack cocaine, there is a mandatory minimum sentence of 10 years and a maximum sentence of life in prison. For methamphetamine, if there is no quantity of methamphetamine specified, there is no mandatory minimum sentence, while the maximum sentence is 20 years. If there are 5 grams or more of a substance containing methamphetamine, there is a mandatory minimum sentence of 5 years and a maximum sentence of 40 years. If there are 50 or more grams of a substance containing methamphetamine, there is a mandatory minimum sentence of 10 years and a maximum sentence of life in prison. For heroin, if there is no quantity of heroin specified, there is no mandatory minimum sentence, while the maximum sentence is 20 years. If there are 100 grams or more of a substance containing heroin, there is a mandatory minimum sentence of 5 years and a maximum sentence of 40 years. If there is 1 or more kilograms of a substance containing heroin, there is a mandatory minimum sentence of 10 years and a maximum sentence of life in prison. Law enforcement is also now prosecuting drug conspiracies involving opioids, especially fentanyl and fentanyl analogues. A controlled substance “analogue” is a chemical compound that is “substantially similar” to a controlled substance, both in chemical structure and in the effects it produces when consumed. While fentanyl is a Schedule II drug, a fentanyl analogue is classified under Schedule I. There are no mandatory minimum sentences for drug crimes involving fentanyl or fentanyl analogues. It’s important to be familiar with laws that “enhance” the sentences for certain drug offenses. These laws dramatically increase the mandatory minimum sentences in drug conspiracy offenses. If an individual dies or is seriously injured as a result of using the controlled substance involved in the drug conspiracy. This enhancement can only be applied if the government proves that the deceased individual would not have died or been injured but for the fact that they consumed the controlled substance involved in the offense. If the person being charged with a drug crime has one or more prior felony convictions for drug offenses. Under 21 U.S.C. § 851, the government must give notice to the court and the defendant that it is seeking this enhancement, and it must identify the particular prior convictions it is relying upon. Page Pate is nationally recognized as one of the best federal drug conspiracy defense attorneys in the country. He has over twenty years of success in defending people charged in federal drug conspiracy cases in courts across the United States. 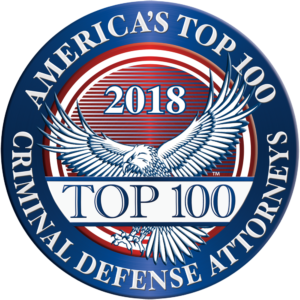 Our firm is based in Atlanta but people from all over the country hire us when they need a law firm with special expertise in federal drug conspiracy laws, and a track record of winning difficult federal drug cases at trial. Because the criminal laws and rules of evidence are basically the same in all federal courts, our firm has been able to win federal criminal trials regardless of where the case is pending. In this video, Page Pate discusses federal drug conspiracy laws and some defenses he has used to win these cases at trial. “I’ve been representing people in federal court over the past 20 years, and I’ve handled a lot of federal drug conspiracy cases. One of the things I’ve learned is that most people, when they’re charged with something like this, really don’t know what a drug conspiracy is. So I thought it might be helpful to talk about the basics. What is a drug conspiracy? In order to convict somebody in federal court of a drug conspiracy charge, the government has to prove two elements. The first element is that there is an agreement to violate the drug laws, and that sounds pretty simple. And it is. The government does not have to show that there is some sort of formal agreement, or contract, or anything like that. It’s just a general understanding or plan between two or more people to do something that violates the federal drug laws. That can be importing drugs, it can be distributing drugs, it can be possessing drugs with the intent to distribute. It can be manufacturing drugs. As long as there’s an agreement between two or more people to do something that violates the federal drug laws, the government can prove that first element. But the government also has to show a second element – that the person, the person being charged in this case, knows about the agreement and joins in the agreement. Understanding what’s going on, they say, “Hey, I wanna be a part of this.” Now that’s it, just those two elements. If the government can prove both of these things then they can charge someone with a drug conspiracy. Now notice what’s missing here. The government does not have to show that a person actually sold drugs. They don’t have to show that a person even had drugs. It’s just this agreement, and then knowing about the agreement, saying, “I wanna be a part of it.” The person can drive a car and be part of a drug conspiracy. They can make a few phone calls and be part of a drug conspiracy. There is no requirement that the person actually has to handle any drugs. Well, if it’s this broad, you wonder, “Are there any defenses to it?” Because it is very broad under federal law. There are defenses, and there are several that we have used effectively in court when we’re representing someone charged in a drug conspiracy case. The first obvious defense is that there’s no unlawful agreement. A good example of that is a case I handled just last year representing a doctor who worked at a pain clinic. Now he ran a medical practice and he prescribed pain medication, opioid pain medication, to a number of different patients for chronic pain. The government stepped in and said, “You’re prescribing too much medication. We don’t think these people really need it, and so you violated the federal drug laws.” Well, we were able to show the government that there was no unlawful agreement. He was simply prescribing medicine for his patients, and he was acting within the legitimate medical practice and what his license allowed. So there was no unlawful agreement. Obviously there was an agreement. They had a medical practice, they were prescribing drugs, but it wasn’t unlawful. Another defense is that there is no knowledge of the agreement. The person being charged, while there may be an agreement, he doesn’t know about it. Great example of this defense is a case I tried here in Atlanta a couple of years ago. I represented a pilot who had a charter airline service. He had been flying two folks from the Mexican border to Atlanta back and forth many times. The people that he was carrying into Atlanta had large duffel bags with them, and it turns out they had a lot of cocaine in those duffel bags. And then when they would distribute it in Atlanta, they would load it back up with cash, take it back to the Mexican border. Clearly those individuals were part of a drug conspiracy. But my client, even though he carried them into Atlanta, even though he flew them back and obviously helped them accomplish their unlawful plan, he didn’t know about it. He was simply told that what was in the duffel bags had to do with their work, was never given any indication that those duffel bags contained drugs. And so, while he actually helped them commit the offense, he wasn’t aware of the unlawful plan,. So he had no knowledge of the agreement, and the jury found him not guilty of all charges. Another defense, and this is a little more complicated, is that the person may be involved in the drug business, but it’s a different conspiracy than the one the government has charged him with in the indictment. When the government charges someone, they draft an indictment, and that’s agreed to by the grand jury, and then the government is stuck with that document. So when they go to trial, if they don’t prove exactly what’s in that indictment, then the jury cannot find the person guilty. So let’s say they go to trial. They have evidence that an individual is involved in the drug business, but they have charged him with a bunch of people that he didn’t know. Well, in that case the government may have shown that he’s involved in drugs, but he’s not a part of that conspiracy. It’s a different conspiracy, and so the jury has to find him not guilty. Another defense, which is also a little complicated and difficult to use, is that the person withdrew from the conspiracy. At some point he knew about the plan, he agreed to get involved, and he helped out. But he realized down the road he did not wanna be a part of this, and so he said, “Look, you know, I’m done with this. I’m out.” That’s fine, but to really take advantage of this defense you have to communicate that to either law enforcement, or make it clear to everybody else in the conspiracy. And even if you do that, it only protects you going forward. It doesn’t protect you from what you may have done with that group in the past. The entrapment defense. We get a lot of questions about the entrapment defense. Will it apply in my case? You know, “The government came after me. I didn’t go after them. They tried to sell me drugs. They tried to get me involved in this conspiracy.” The entrapment defense is a very effective defense when it’s used the right way and by a lawyer who knows what he or she is doing. In entrapment, you basically have to show two things. Number one, the person was not predisposed at being involved in a drug conspiracy. They don’t have a history of it, there’s not other evidence to show they were interested in finding out about the drug business. They had nothing to do with drugs until the government came along, either an undercover agent or an informant, and they went after this individual and tried to convince them to get involved. So it’s lack of predisposition, and it’s that second thing, the government conduct. They kept on after the person. Perhaps they made a call and suggested a drug deal, and he turned them down but they came back again. If you have those two elements, then you have an entrapment defense, and it’s a very effective defense in trial. Finally, challenging an unlawful search or a wiretap. You need to consider that in almost any drug case there’s usually going to be a search. Somebody’s house was searched, somebody’s car was searched, a storage shed, a business. In some cases, the government will have a warrant, in some cases they won’t. Sometimes they’ll say they had consent to search, the person agreed to it, but they really didn’t. The way to challenge that is by filing a motion early in the case, getting a hearing, and then showing the judge that the search was unlawful. We’ve done that in many cases, and usually because the evidence that they find during the search is so important, if we can keep that out, the case will be dismissed. We’ve also been successful suppressing wiretaps, and we see wiretaps now in almost every drug case. They’ll be recording the conversations that people in this alleged conspiracy have, then they will use those tapes against them in court, but they have to do it the right way. We’ve been able to throw out two cases based on improper wiretaps. In the first one, they didn’t have enough probable cause to get the wiretap. Even though a judge signed off on it, the judge that handled the case said, “I don’t think there was sufficient probable cause here.” They suppressed the wiretaps, they couldn’t use them in trial. And then once the government realized that, they dismissed the case. In another situation, another wiretap case, the government had probable cause to get the wiretap but they didn’t follow the specific requirements of the statute. They didn’t seal the recordings like they were supposed to. Again, a federal judge threw out those wiretaps and we were able to resolve the case. To learn what happens in a federal criminal case, watch our federal crimes video. There was no agreement – This is a straightforward defense that asserts the government cannot prove the existence of a conspiracy. No agreement exists, for example, where the individuals involved do not share a common goal and are not working together. Similarly, there may be an agreement between multiple people to accomplish something, but if the objective is not illegal, the agreement is not a conspiracy. The person charged did not intend to join the agreement – Like the defense that there was no agreement, this defense attacks the government’s case as lacking evidence. For there to be a conspiracy, one must intentionally join the conspiracy. This means taking an “overt action” to participate in the conspiracy. Jim and Bob may jokingly agree to rob a bank, and Bob may go out the next day and actually do it, but Jim is not guilty of conspiracy to rob a bank if Jim believed Bob was joking and he didn’t take any steps towards helping him rob that bank, such as renting a getaway car. The person charged was involved in a different conspiracy – This may sound counterintuitive, but a person has a valid defense if the conspiracy they are involved in is not the conspiracy they were charged with. The government may accuse a person of distributing heroin from their house, but if they were actually distributing marijuana, that’s a valid defense to the government’s accusations. The person charged withdrew from the conspiracy – Withdrawing from a conspiracy is a defense to a conspiracy, but it’s not enough to simply throw one’s hands up and say: “I quit.” In order to succeed with a withdrawal defense, a person has to have been pro-active in withdrawing from the conspiracy. This means showing that they took an affirmative action to stop participating in the conspiracy, that they informed your co-conspirators of their withdrawal, and that they withdrew before the conspiracy was complete. Sometimes, it also means a person withdrawing has to take steps to prevent the conspiracy from accomplishing its criminal objective, such as by notifying law enforcement. The person charged was entrapped by law enforcement – While this is a difficult defense to succeed on, it can be powerful when used correctly. Entrapment occurs when law enforcement essentially “traps” a person by convincing them to commit a crime they ordinarily wouldn’t have committed. The key to an entrapment defense is to show that the person wouldn’t have committed the crime but for the government’s actions to entice them. It’s not entrapment just because an undercover agent or government informant created an opportunity for a person to sell him drugs, but if they threaten that person, harass them, or pressure them to sell illegal drugs, that may be entrapment. Entrapment is similar to duress, which is a defense one can use if they were physically threatened to do something illegal. There was an illegal search or interrogation – The U.S. Constitution protects us from “unreasonable searches and seizures.” This means law enforcement generally has to have a valid search warrant before wiretapping a person’s phone, searching their house for drugs, or pulling them over to search their car. This also means law enforcement has to read you your Miranda rights if you are arrested, including your right to remain silent and not incriminate yourself. If the person charged can prove that the warrant for a wiretap or search of their house is not supported by probable cause or that law enforcement conducted a traffic stop without having any reasonable suspicion that that person committed a crime, they can ask a court to suppress evidence that was seized by law enforcement, meaning the government cannot use it against them in their case. In drug cases, that usually means the government cannot introduce the drugs themselves as evidence, likely killing their case. Similarly, if a person can prove law enforcement did not advise them of their right to remain silent, that person can have any self-incriminating statements they made suppressed. It is also always a good idea to determine whether any search that led to the discovery of drugs, currency or other evidence was legal. If evidence was discovered in a vehicle, the attorney will have to determine if the officer who stopped the vehicle had a sufficient reason to do so, or if voluntary consent was given by the person who had possession of the vehicle. If drugs were discovered in a home, the attorney will have to verify that the search was based upon a valid search warrant or other probable cause or consent. If the police violated a person’s rights, a judge may be required to suppress any evidence that was seized. There are several other potential defenses available to a person accused of a drug conspiracy or another federal drug crime. In some cases, an affirmative defense like entrapment or duress may be available and successful if diligently pursued. A good lawyer will also consider whether other affirmative defenses may apply, depending on the specific facts of the case. If you have been charged with a federal drug crime such as conspiracy, you need the assistance of an experienced federal criminal lawyer who will defend your legal rights. For many years, our firm has successfully represented clients charged with federal drug conspiracy and related offenses. We have won several federal drug trials and have successfully resolved others with very favorable pretrial rulings and plea agreements. Being charged with a federal drug crime may result in the seizure and forfeiture of property, even if the person is never actually convicted of any offense. Any property that the government can show came from a drug-related crime will be forfeited. In addition, any property which was used or intended to be used to commit or facilitate such a crime will be forfeited. A person convicted of engaging in a criminal enterprise will also forfeit any interest or rights in the continuing criminal enterprise. Under 21 U.S.C. § 853, the government can seize and keep any property and money in a person’s possession that was “obtained, directly or indirectly, as a result of” a drug offense or any property used “to facilitate the commission of” such an offense. There is a lower “burden of proof” in forfeiture cases than required for a criminal conviction, meaning the government doesn’t have to prove beyond a reasonable doubt that the person obtained the property from a criminal source or that they used the property in connection with their alleged crimes. Of course, there are ways to contest a forfeiture or seizure of property. Our firm has won criminal forfeiture trials, and also negotiated the return of our client’s property and currency that had been seized by federal law enforcement.